Where can I buy a cheap bed? You can buy a cheap bed from Argos, Debenhams, Tesco and more. Every day our deal hunters look for bargain beds from major UK retailers and share them here to help you save money. You spend a third of your life asleep, so it pays to have a nice bed. You may specifically be interested in cheap bedding, discounted pillows or a new mattress. Whether it's a single bed or a double, here you'll see the latest sales information. Plus, don't forget to stack a voucher code on top to save that little bit extra. These deals are primarily online, but you'll also find some in-store deals too. Keep an eye out for free click and collect, such as when buying through eBay which has partnered with Argos as a collection point. 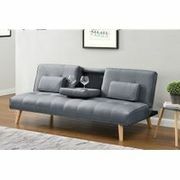 Brooklyn Scandi-Style Fabric Sofa Bed - 3 Colours! Animal Print Square Pet Bed with Piping. Having a good night’s sleep is important, it will leave you feeling happy, fit and thinking sharply. A good sleep’s foundations is the right mattress and a very comfortable bed. It can be the difference between an invigorating night’s sleep and poor quality sleep that leads in fatigue and tiredness. According to research, if you will sleep in a bed that’s uncomfortable, it can rob you of up to one hour worth of sleep. However, the deterioration is invisible and gradual, that’s why a lot of people fail to make a connection between poor sleep and an uncomfortable bed. When’s the right time to get a new bed? Do you wake up with aches, pains or stiffness? Is your sleep as good as it was a year ago? Have you gotten a better sleep in a bed other than yours? Are there any visible signs of wear and tear on your mattress like lumpiness and sagging? There are so many beds to choose from and there’s no such thing as the perfect kind of bed for a particular situation or condition. However, with this little guide of ours and a good retailer, will make the daunting process a simple and easy one and will surely help you make the important final decision, so make sure to take your time and choose wisely. Shopping online for just about anything has become a part of every Brit’s everyday lives. It’s simpler and more convenient that heading out and shopping on high street, comparing prices are easier and there are some products and deals you can find online which are not available in most shops. Nevertheless, it is important to always check the cost of delivery as the returns policy of each online retailer varies, so make sure you have read their terms and conditions before making any purchase. Buy only from reputable shops. If you haven’t heard of the company, you can check them out at shopsafe.co.uk, which lists only UK online shops that offer a secure credit card transaction as well as clear returns policies and delivery costs. Check if the site has full contact details like phone numbers and emails. For peace of mind, opt for NBF Approved brands. You also have a choice to check with them that the retailer you have in mind does regular business with them. It is important to ensure that you are very satisfied with the descriptions of the product supplied to you are accurate and true since you cannot look inside the mattress. Always check the retailer’s returns and privacy policies. Where can I find cheap bed? 25% off selected Argos beds selection. 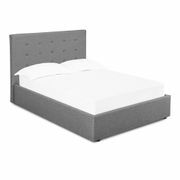 Under £100 bed frames at beds for sale IKEA promotion plus an exclusive online only deal of 50% off truck delivery when you spend more than £300. Beds for sale eBay deals include huge sale on brand new beds with mattress where you can save as much as 70% off including free and fast delivery. Plus cheap double beds for under £200. You can save 20% compared to their main range equivalent at John Lewis beds and mattress lineup. Take advantage of 50% to 90% savings on bed deals at Groupon with free delivery. Type. Think about the style you prefer and what you dislike about your current bed as well as whether you want a softer or firmer feel. Price and budget. Always look for value and not the one with the lowest price tag. Of course, there are many cheap beds or cheap bed deals available that are perfectly acceptable. Keep in mind though to look for a bed with a better support, construction and comfort that will last long but will still stay within your budget. Size. Does size matter? Yes it does! A larger bed is less likely to disturb your partner, if you have one. An ideal bed should be around 10 to 15cm or 4 to 6in longer than you or the tallest person you’ll be sharing it with. Check dimensions. Even if beds have the same name like king size, queen size, etc., they’re still not standardized, especially if the base and mattress are not from the same maker. Common European sized are quite different and several imported bedsteads are based in European sizes. Buy mattress and base together. If possible, make sure to try a mattress on a similar kind of base. These two are designed to work together and changing the base will have an effect on the performance and feel of the mattress. If buying online, make sure to ask the customer support of the online shop about this matter. Access all areas. If you’re worrying on how you can get the bed upstairs, keep in mind that almost all divans come with split bases, while most bedsteads are typically delivered in pieces for you to assemble. To avoid any delivery problems, tell the retailer about any possible access problems before buying like, tight corners or narrow staircases. Also, check the shop’s terms and conditions. After sales service. If you’re having a hard time deciding between a couple or more equally suitable beds, think about the services offered by the retailer such as warranty or guarantee offered, quick delivery, special offers and free disposal of your current bed. Divan. This is the simplest and most popular type of bed and there are numerous selections on sale. Basically, it is a base that you can add a headboard and bed mattress that are sometimes part of the bed package. Bedsteads. These are slatted frames and are normally made from wood or metal and comprised of legs, headboard and a base. They’re more a decorative option with different finishes, styles and colours to choose from. Storage bed. This type offers plenty of storage options underneath it. 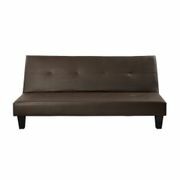 It’s a great option if you have a limited space but still want to have a little flair than a regular divan bed. Sofa and folding beds. These are compact and yet flexible beds that are ideal in guest bedrooms. Bunk bed. 2 beds in 1 for siblings sharing a bedroom. Cot bed. This is recommended for small kids since it is convertible and can help your little one make the transition from cot to bed. Majority of mattresses in the UK comes with spring interiors, which provide the central support. Changing the thickness of the wire, spring construction, number of coils, quantity and height of every spring will alter the weight, feel, tension and weight distribution properties of every mattress. A spring mattress can be zoned across its middle providing extra support for people with heavier shoulders and hips. A half and half on the other hand provides different tensions on each side of the bed or round the edge of the mattress to give it an added firmness. This type if ideal for hot sleeper as they offer a great air circulation and a cooler and direr feeling compared to foam and latex. In addition, it’s also highly durable and provides great value for money as well. This type is for you if you like your mattress to mould to your body’s contours and provide a personalized support. 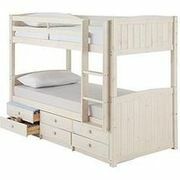 It also absorbs movement, so if you will be sharing a bed with a fidgety sleeper, this is a good buy. In addition, foam mattresses are flexible, soft and resilient that can last long since they can be regularly turned.